If you've noticed your towels and clothes losing their vibrancy and soft texture, it might be because your home has hard water. Hard water is water that contains harmful mineral deposits, like calcium and magnesium, which make getting your clothes clean a more difficult task. The minerals in hard water combine with detergent to form a scum, which can cling to your clothes and cause them to dull and lose their softness over time. So what can you do to stop hard water from ruining your clothes? Install an AquaMaster water softener! By replacing the harmful calcium and magnesium ions in hard water with sodium ions, water softeners remove the hardness from your water. 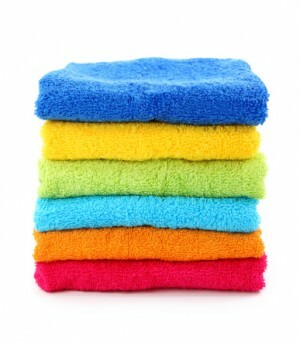 The end result is soft water, which is better for washing your clothes and towels. But that's not all soft water is good for—it also improves the appearance and texture of your skin and hair, it's better for your appliances and it can save you money! Soft water has tons of benefits! Soaps and detergents do not lather as well in hard water as they do in soft water, therefore doing laundry in hard water requires more detergent. When you install a water softener system in your home, you'll notice that you're all of a sudden saving money on detergent, dish soap, hand soap and shampoo. Home water softeners can also reduce the amount of time it takes to get your clothes clean, which will save you money on your hydro bill. If you're looking for a water softener in Kitchener or Waterloo, choose AquaMaster. Our water softeners incorporate patented technology that maximizes efficiency, not to mention they're affordably prices! Click here for more information about AquaMaster's water softener systems.